The next batch of 3-way XLR sockets had arrived from China and the last two DCC sockets were installed under the baseboard. Ray spent his time installing the boxes that house the sockets for the hand-held controllers. These had been 3D printed during the week, each box and lid pair taking just over two hours on the 3D printer. Then we started to test the new boxes and their associated cabling. We have organised the wiring such that each baseboard can be tested independantlt of the others – and this part of the test went well. However we did discover one socket that had to be rewired – a job for next week. The photo above shows the new boxes that will allow the connection of hand-held controllers. 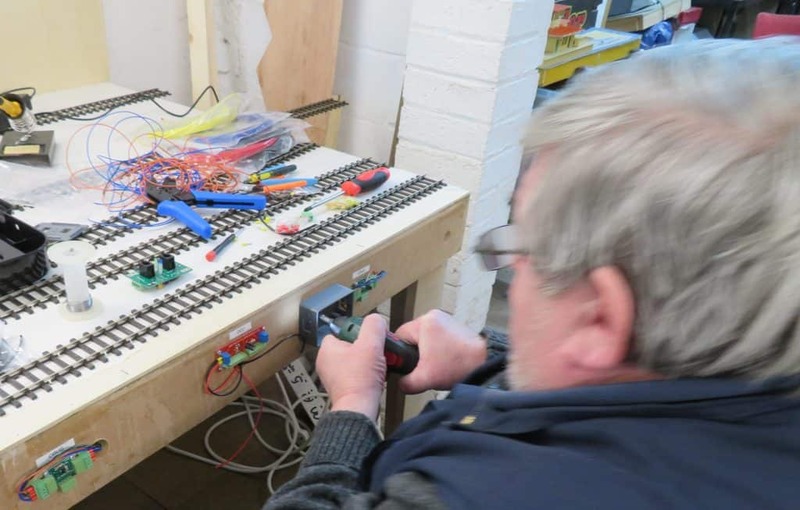 The top green LED confirms that the unit is receiving power and the lower blue light will flach when there are messages on the control wiring when a point is changes ot the speed of a loco in altered. The red board will connect the droipper wires from the track to the DCC controller. 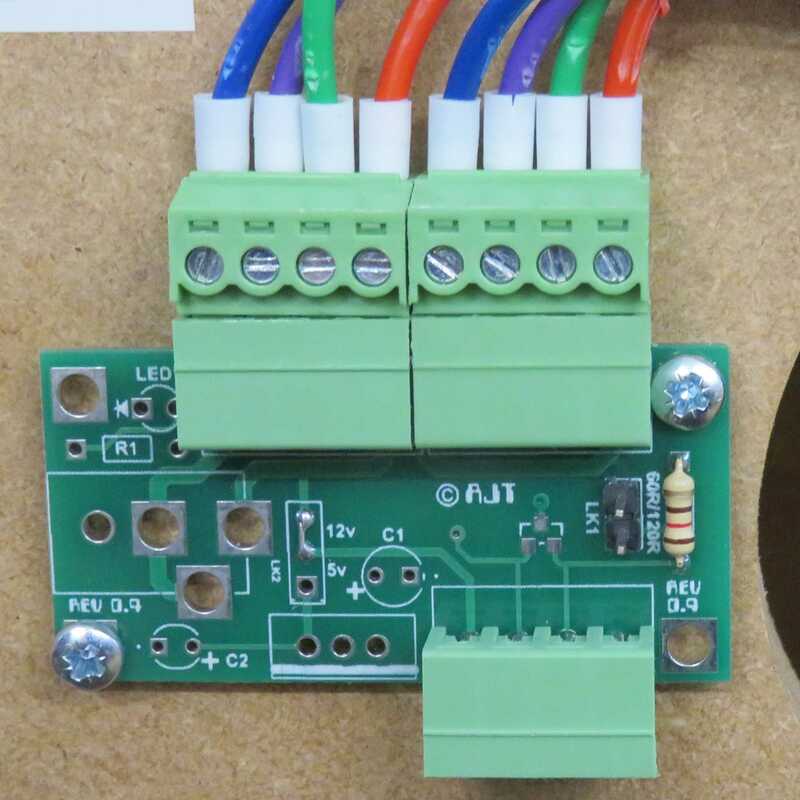 The same red boards are also used for the 12V accessory supply. This will be used by the servo motors that will change the points and for all the other automation that Malcolm C has in mind for the layout. The green baords allow for control modules to be added as the layout evolves.